With the Electric Fence Light Indicator you can check the status of your fence from up to 1 mile away! 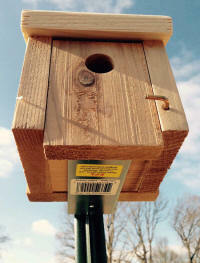 And it provides 360 degrees of visiblilty from the ground or air. It's also equiped with a "Knocker" that produces a loud knocking sound so you can also know that all is well just by listening. What a great way to know that your fence is fully operational without leaving your home or truck. 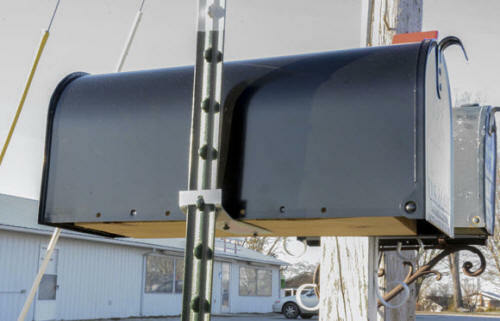 With just a glance at the Electric Fence Indicator Light you can rest assured that your fence is working properly and your livestock are safe and secure. The flashing light also helps to deter preditors (fox, cyotee, hawks, etc) ... different color lenses will be offered in the future to enhance this capability. The Electric Fence Light Monitor produces a bright FLASH with each PULSE of your fence and it will NOT degrade the output of your charger. 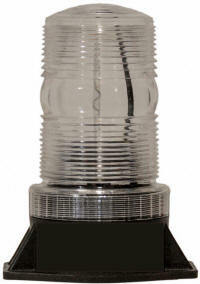 Note: the Electric Fence Light will NOT work with "CONTINUOUS" fence energizers. 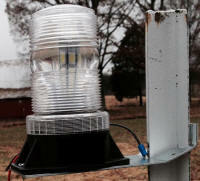 The Electric Fence Light is designed to be mounted on the top of a wooden post as pictured above. 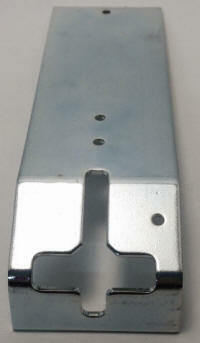 It can also be mounted on the top of a T-Post or Steel Pole with optional brackets. This New Product has just come on the market ... it's selling like hot cakes! Rest assured it has undergone 3 Years of extensive testing before going on the market. The Electric Fence Indicator Light is weather proof, built to last, and comes with a One Year Warranty from the manufacturer. 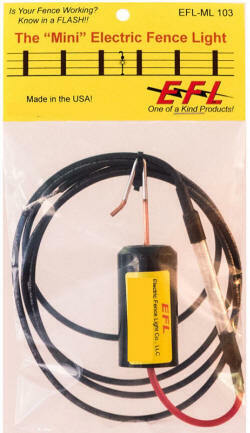 The "Mini" Electric Fence Indicator Light flashes with the same bright light without the need for a bracket or mounting on a fence post ... just hang it on the fence "hot" wire, connect the black wire to ground and you are good to go! You can now see if your fence is operational from up to a mile away! The "Mini" Electric Fence Indicator Light is weather proof, water resistant, built to last, and comes with a one year warranty from the manufacturer. All the same great features as the bigger model in a smaller package.